This is a guest post by Professor Lawrence Susskind, Director of the MIT Science Impact Collaborative, the Director of the MIT-UTM Malaysia Sustainable Cities Program (MSCP) and co-director of the Water Diplomacy Workshop. We’ve spent far too much time thinking about the global causes of climate change, and not nearly enough worrying about the local impacts that climate change is already having on coastal communities. The distinction is important. Most of the people pushing for reductions in greenhouse gas emissions are environmentalists or experts worried about future generations. But there is a very immediate constituency – the people being hit with higher costs for insurance, water and electricity, and those facing substantial property losses or a drop in business income today because of increased flooding and water shortages. People who live in a coastal community or on a river nearly anywhere in the world are a lot more worried about what’s happening right now, than what might happen to future generations if we don’t limit greenhouse gas emissions in the U.S., China, India and elsewhere. Climate change means too much water or not enough water in the wrong place at the wrong time! It means deadly heat waves. It means radical changes in natural places, animal and plant life and the onset of new diseases. 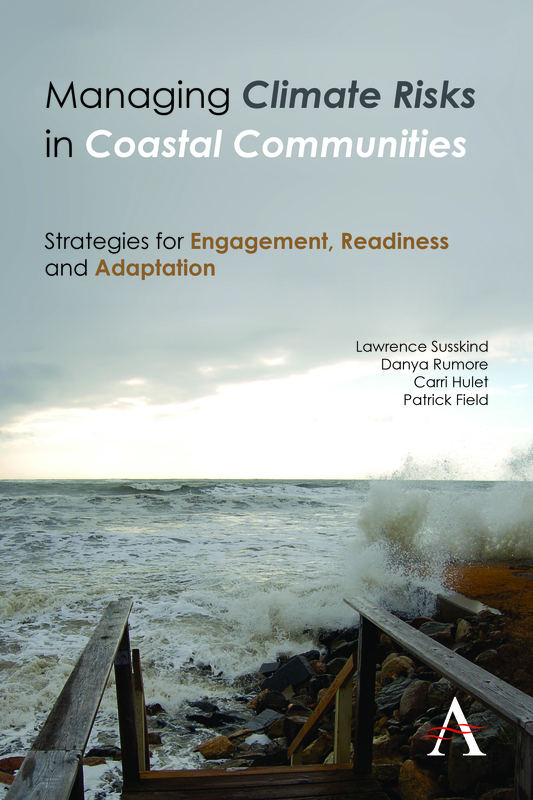 Our new book, Managing Climate Risks in Coastal Communities: Readiness, Engagement and Adaptation (by Lawrence Susskind, Danya Rumore, Carri Hulet and Patrick Field) tells the story of four coastal communities trying to take climate change-related risks seriously. What they are doing — and what we have helped them learn from their efforts — can help other cities and towns fast-forward the adoption of climate risk management measures that everyone agrees on. The “we” in this story is the New England Climate Adaptation Project (NECAP), a partnership based at the MIT Science Impact Collaborative and the not-for-profit Consensus Building Institute. Our close partners included the National Estuarian Research Reserve System, the University of New Hampshire, and four New England coastal communities. We prepared four Stakeholder Assessments—one for each partner town in Massachusetts, Rhode Island, New Hampshire and Maine. These involved interviews with several dozen officials, activists, business leaders and scientists. The scientists on our team prepared a local climate change forecast (estimating likely temperature, precipitation and sea level changes in the near term, mid-term and long-term) using downscaled regional climate models and long-term data from local meteorological measuring stations. We wanted to know if this approach to enhancing community readiness to address climate-related risks works. With all this information in hand, we developed tailored role-play simulation (RPSs). These are “serious games” that ask participants to imagine that they are working in a community a lot like their own, trying to figure out what to do about possible climate risks. We organized several workshops in each of our four partner communities at which more than 100 – 150 people played the games in each place. Workshops were co-sponsored by a wide range of local environmental, business and public service organizations. The press attended. We used social media to generate as much interest as we could. We wanted to know if this approach to enhancing community readiness to address climate-related risks works. Does it give people a better understanding of the problems they face, the options open to them, the reasons that experts and locals think differently about what is happening and what ought to be done, and the costs of taking different actions? Does this approach to public engagement build capacity and political momentum? Does it change anyone’s mind? Does it legitimize the search for immediate “no regrets” actions as far as public spending is concerned? Does it help the community see why adaptation is a local (not a state or a federal) problem? To answer these questions, we used independent town-wide polling to establish a base line of public attitudes about climate change before and after the workshops, surveying more than 500 people. We held intensive debriefings with all participants at the end of each workshop. We interviewed almost 25% of the participants 4 – 6 weeks later to see what they remembered. We did statistical analyses of the results across demographic groups within each community, between those who participated in workshops and those who didn’t, and then compared the four communities in the four states. We prepared detailed Case Studies summarizing what we learned in each town. In the book, we summarize all of our findings. A simple, but tailored one-hour game with a 30-minute debriefing can change minds with regard to the importance of climate change, the nature of climate risks, and the need for local action. People from almost all groups (except those so convinced that climate change is not a problem that they refused to participate) learned about the science involved, increased their sense that local governments need to act and became more optimistic that people in their community could and should act together to manage climate risks. Public officials and staff felt more empowered to take action in their respective spheres (public works, emergency response, health services, etc.) after seeing people’s hearts and minds change at the workshops. Above all, communities must enhance their level of readiness if they expect to address climate risks. Communities facing climate change-related risks have a few different options: they can do nothing and hope for the best. They can invest in emergency preparedness so they are better able to respond and recover from crises. They can “retreat” from the most vulnerable areas. They can try to defend themselves by building protective infrastructure and adopting new policies, such as land use regulations and building codes. They can mix and match elements of each of these strategies. Whatever they decide, they will need widespread support because it will take public and private cooperation and a continuous, not a one shot, effort to bring all but one of these options to fruition. Individual landowners, businesses, environmental activists, public agencies and taxpayer groups will have to work together. Above all, communities must enhance their level of readiness if they expect to address climate risks. They will have to provide opportunities for widespread public involvement in something other than a few “town hall” meetings at which pre-packaged information is handed out and people are lectured at. They will have to help taxpayers understand that there are “no regrets” moves they can make to reduce climate risks while simultaneously accomplishing other important objectives at the same time. For example, using this year’s open space preservation money to create natural barriers along the shore can provide storm protection for private property owners, reduce saltwater intrusion into freshwater wetlands (protecting underground water supplies), armor waste disposal and electricity infrastructure, and minimize flood risks. The sooner the U.S. shifts its focus to reducing local vulnerability to climate risks (so that everyone can see what the costs are going to be year after year as climate change accelerates), the sooner there will be more of a political constituency that wants to get at the source of the problem. So, unlike many who worry that any talk of adaptation detracts from global efforts to push for mitigation (i.e. reduction in greenhouse gases), we take just the opposite view. Don’t wait for extensive state or federal direction — it’s probably not coming anytime soon. We think the political pressure for mitigation is not strong enough to push for a global action plan or new US laws because people don’t recognize the costs to them today. Now is the time to highlight what it’s going to take to help vast numbers of coastal and riverine communities all over the world avoid paying immense costs just to survive in the years ahead. When they see what it really costs to manage climate risks, we believe they will care much more about the underlying cause, and quickly become the missing constituency needed to push for global emissions reducing policies. Get your community to play the serious games we have developed (or look for a range of local partners that will help adapt the games to your local conditions). Do a simple, anonymous assessment to understand what everyone’s real views are at present on issues of climate change (you might be surprised!). Use our before-and-after surveys to document the shifts that occur once people start attending workshops and playing the right games. Get local officials and community activists to be the first to play the games and talk about what the results suggest for your community. Involve the local media in reporting the story. Adopt a consensus building approach to formulating a collective risk management plan for the community. Don’t wait for extensive state or federal direction — it’s probably not coming anytime soon. Emphasize the search for no-regret options — things you can do right away that are good for multiple reasons AND will reduce your community’s vulnerability to sudden climate change. 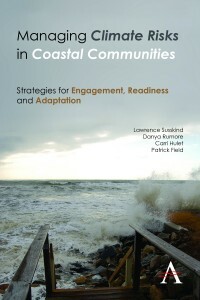 Managing Climate Risks in Coastal Communities: Readiness, Engagement and Adaptation is out tomorrow. Learn more about this project at scienceimpact.mit.edu. This post was originally published on Professor Susskind’s blog ‘The Consensus Building Approach’.